Hungarian passenger operator MÁV-START Zrt. 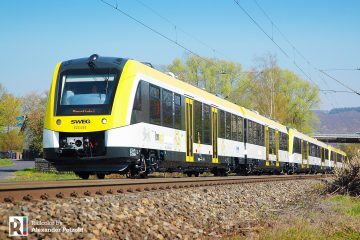 and Stadler have signed today a frame agreement about the delivery of up to 40 6-car double-deck KISS EMU. 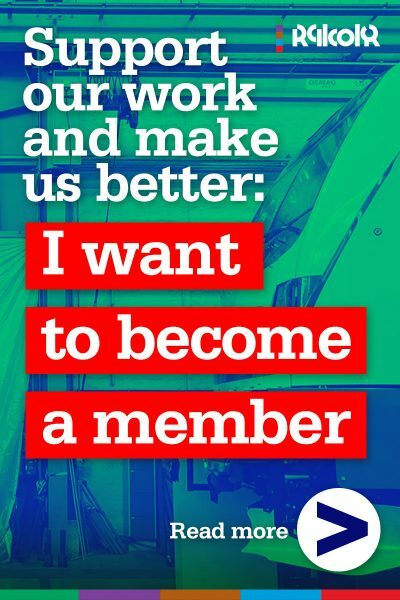 MÁV-START has an obligation to order a minimum of ten units from Stadler, the value of the first assignment will amount to EUR 195 million including training and spare parts. 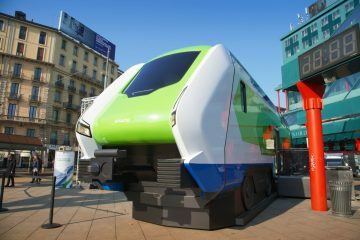 The new trains, which will be the first double-deckers in the history of the Hungarian railways, will enter service expectedly in the spring of 2019. The framework contract signed on 12 April 2017 provides sufficient flexibility for MÁV to schedule the procurement of the 40 units gradually, with regard to the availability of the European Union funding. With the deployment of the new, large capacity vehicles, MÁV-START is going to open a new chapter in the passenger transport of the Hungarian railways, as the KISS trains will be the first double-deck EMUs in the country. 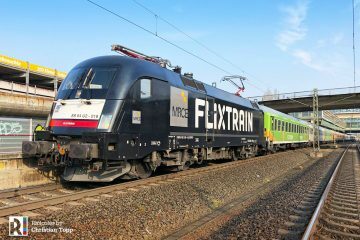 The new trains will also be compatible with the existing 123 FLIRT EMUs delivered by Stadler in the past ten years, providing MÁV-START with exceptional flexibility with regard to the operational possibilities. 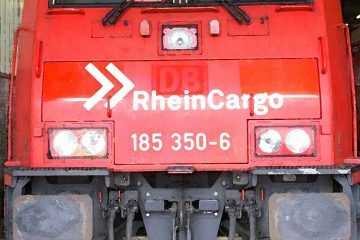 The 155.88 meter long, 2.8 meter high and 4.6 meter wide units will consist of 6 coaches and 600 seats, and will be able to carry 50% more passengers compared to a single decker unit with the same length, which will help MÁV-START to give an answer for the challenges of the growing number of passengers on the most crowded suburban lines of Budapest. The trains will be equipped with four toilets, one of them accessible for persons with reduced mobility, while the multifunctional areas will have the capacity to carry four wheelchairs, as well as twelve bicycles or five strollers. The amount of bicycles during summer timetable can be increased to 24. 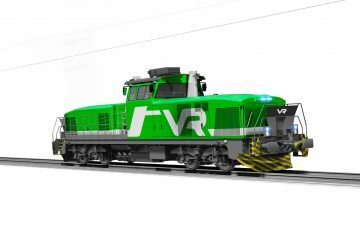 The new vehicles, which have been designed according to the latest safety standards, will be equipped with EVM and ETCS Level 2 train control systems, making them able to run at a top speed of 160 km/h on the modernized railway lines of Hungary. Passenger comfort will be enhanced by the exceptionally smooth running, a state-of-the-art passenger information system, a spacious and bright interior, cutting edge air conditioning, and free WIFI. 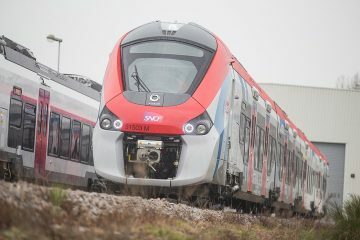 The trains will be deployed primarily on the busy suburban lines of Budapest-Vác-Szob and Budapest-Cegléd-Szolnok between 2019-2020, but the passengers can also meet them during the weekends on high intensity regional lines around Debrecen and Nyíregyháza, as well as at the lakes of Balaton and Velence in the summer season. The remaining units can also appear later on the lines of Budapest-Újszász-Szolnok and Budapest–Hatvan–Gyöngyös. 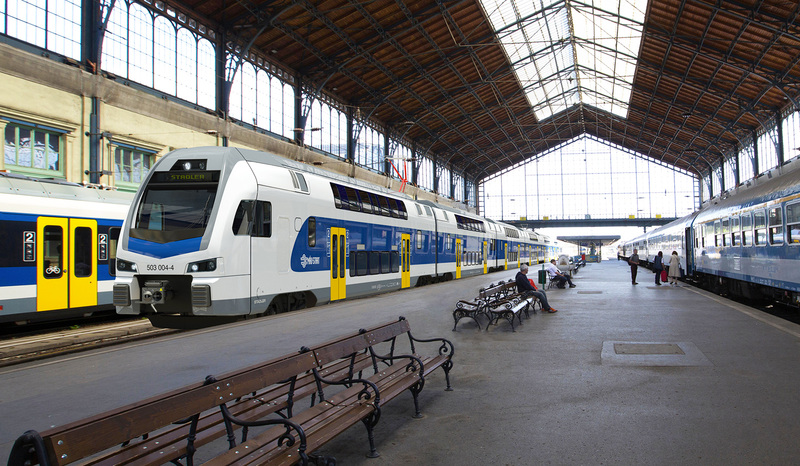 Railcolor: The impression shows the Stadler Rail KISS in the white/blue/yellow color scheme also applied on the newest FLIRT trains. The train is numbered as 503 series. 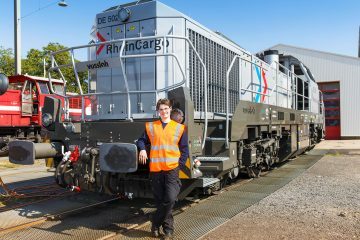 Stadler Rail was the sole bidder on this contract.